I’ve heard it all. It will never be the right time. It will always seem expensive. Not doing it will always be easier. But the time is now. Solar panels are at their cheapest in years. The earth can’t wait. Don’t believe me? The benefits are obvious. The sun gives us endless clean energy and can save you money in soaring electricity bills. Solar energy is easy to maintain and can be used in the smallest or largest of spaces. We are lucky to live in a place where most of our power comes from renewable energy sources. That being said, electrical power in Costa Rica costs on average $0.28 per kilowatt-hour and can exceed $0.38 during higher demand peak hours. The average cost to American consumers is $0.11 per kilowatt-hour. Remember that with inflation, energy costs are only going to rise. The other important fact that makes solar power in Costa Rica so BLANK is that the government does not impose tariffs or taxes on alternative energy equipment. Equipment costs are comparable to those in North America and Europe. 2. ICE will credit you for excess power created. Costa Rica has approved the grid connection which allows all renewable energy systems to connect and feed power to ICE. 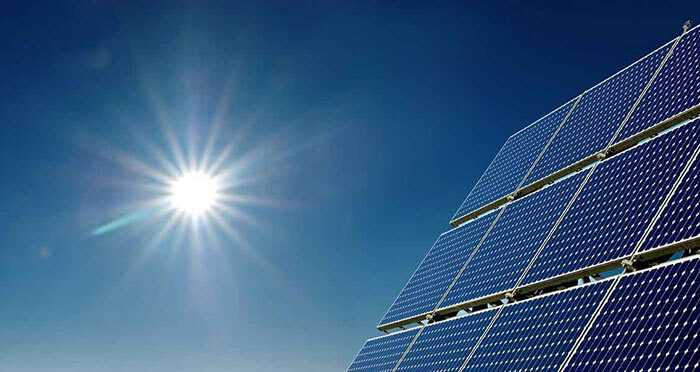 Most experts agree that solar power can show a return on investment of about 6-7 years. So it’s initially a large investment, but in less than 10 years you will be paying nothing for power instead of paying ICE forever. Solar panels require almost no maintenance once installed. About the only thing the owner needs to do is keep the panels clean. Too much mud or dust can reduce the amount of sunlight being absorbed. Not to worry though: This isn’t something that needs to be done very week. Depending on the season you would probably need to hose them down on average 2-4 times per year. Aside om keeping your panels clean you just need to make occasional check ups to make sure your parts are in working order. The panels should never need to be replaced,and the batteries/ inverter maybe once every 10 years. This low-maintenance makes it a great choice for home or businesses. Costa Rica is competing to become the first carbon-neutral nation. It was declared a national goal to achieve this carbon-neutrality by 2021. Every step we make towards 100% renewable energy is a step in the right direction for Costa Rica. While 80% of our power comes from hydroelectric – that still has a carbon output. Solar power is 100% carbon-free technology. By switching to solar, you are effectively helping to offset our nation’s carbon output. Some people worry that solar energy is not reliable because it only works when the sun is out. Thankfully we have lots of sun in Costa Rica! Remember: Solar power also works on a reserve system, so even if we have a day with no sun, you won’t all of a sudden be out of power. The sun has been around for billions of years and isn’t likely to burn out in yours or your children’s lifetime. It’s a good energy to bet on! This is the easy one for most get on board with but it’s worth mentioning. Solar energy is clean, renewable and carbon-free. Costa Rica still generates 7% of it’s energy with oil fired plants. Apx. 80% of Costa Rica’s power is generated by hydroelectric dams. While this is a much better option than coal, hydroelectric reservoirs still output substantial greenhouse gasses. The absence of tree or other plants near the reservoirs also means that native sinks aren’t there to absorb the CO2 emissions. Coal extraction doesn’t just pollute our air. – Air pollution from coal caused cancer, smog, respiratory infections & acid rain. I could go on, but you get the picture! Now, if solar power seems to be the perfect source of free power for everyone, why isn’t the whole world using it? The answer is that Solar Power isn’t really for everyone (yet) for various reasons. There are hidden downsides, that I’ll explain in another article here: The Downsides of Solar Power.